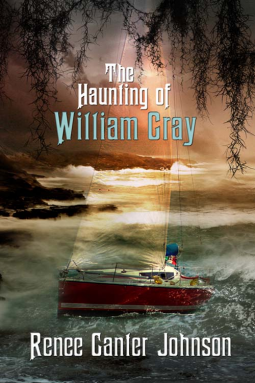 THE HAUNTING OF WILLIAM GRAY is a story that has many classic featured and is well-constructed much like the historic mansion where much of the action occurs. It has hints of ‘The Ghost and Mrs Muir’ and ‘Rebecca’ and is written with a palpable sense of place such that you can almost smell the sea air. The story centers on a peculiar love triangle of sorts between an single mother and graduate student, a pompous wealthy heir with a ton of emotional baggage, and a ghost that occasionally possesses him—with a history-mystery that needs to be untangled to set everything to rights. For the three quarters of the story I would suggest that pace is a little sedate and the style more like romance books from a few decades ago than a modern example. Just as I was starting to skim a little the plot took a very dark and dramatic turn, however there was also a plot element that stuck out to at this point as wildly implausible. To avoid spoilers I can’t say much more than that, but for those of you who might otherwise lose interest a plot twist is coming! I think a slightly stronger editorial hand could have made this a 5/5 book where the plot advanced at a more interest pace without sacrificing believability. The theme of a size 10-12 woman being wildly insecure about her weight could also be toned down a little IMHO. However there is no doubt that this maritime romance is tightly plotted overall and seamlessly blends a supernatural mystery and obstacle strewn love story to arrive at a very satisfying happily-ever-after.